For all the information concerning the tasting reservation please fill the form on the Events and Tastings page. 8.30 a.m. – 1.00 p.m. / 2.30 p.m. – 6.00 p.m.
For different needs please contact us, we can arrange a meeting on request according to availability. 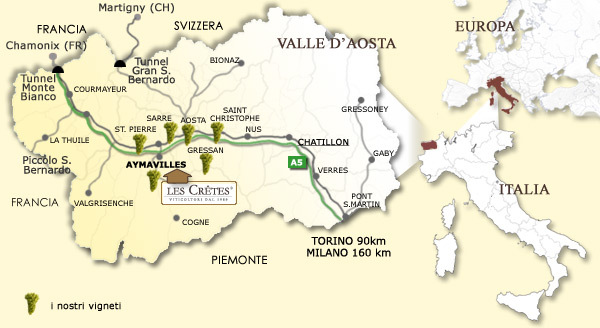 Keep the exit Aosta-Ovest / Saint Pierre and follow the direction for Aymavilles / Cogne up to Chanoux square roundabout. At the roundabout turn left (4th exit) to take the direction “Gressan” and go ahaed for 600 m.